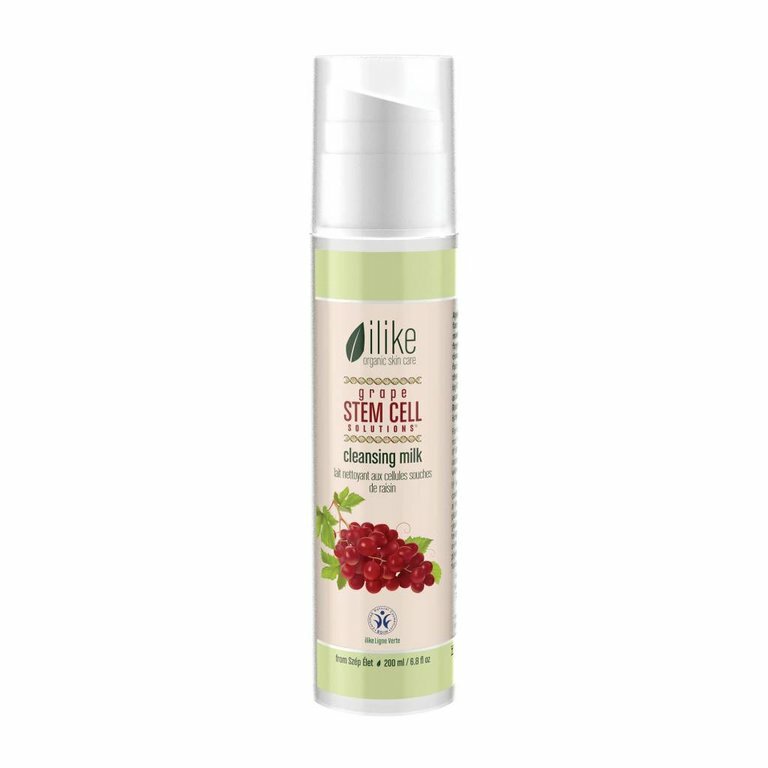 A gentle cleansing milk containing red grape stem cells and powerful antioxidants that removes makeup and impurities and leaves a youthful, radiant appearance. Apply to skin over entire face and neck area and massage it in gently with fingertips in circular motions. Wipe off with damp face towel or cotton pad, then follow with a refreshing ilike toner. May be used as an eye makeup remover. Recommended home use is twice a day. Grapeseed Oil, Grape Pulp, Grape Stem Cells, Grape Skin, Orange Oil, Lemon Oil -- OPCs (Oligomeric Proanthocyanidins), Polyphenols, Phytoestrogens, Kaempherol, Bioflavonoids, Resveratrol, Vitamins A, B, C, E and H, Carotene (Provitamin A), Biosugars, Fruit Acids, Tannins, Mineral Salts, Trace Elements.